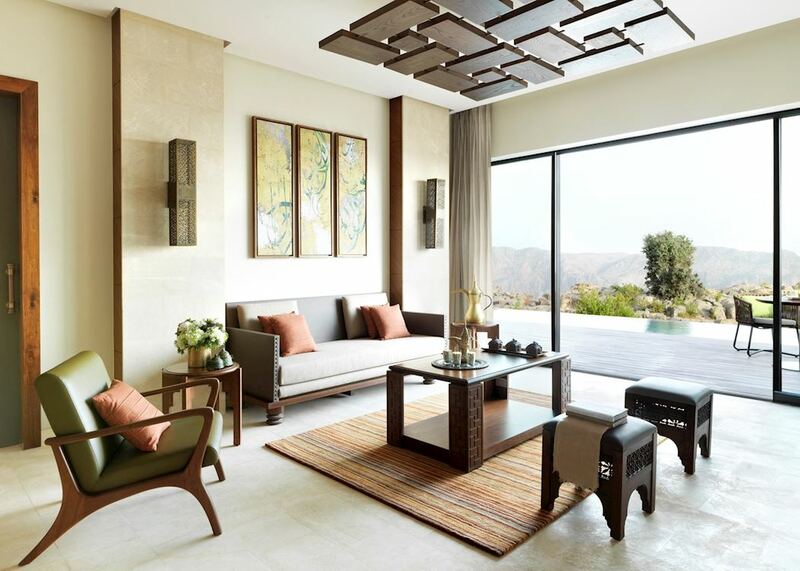 Staying at the Anantara Al Jabal Al Akhdar Resort is an excellent opportunity to experience an Omani take on a luxury mountain retreat where you will be able to immerse yourself in the exquisite blend of local mountain motifs and contemporary design featured throughout the property. 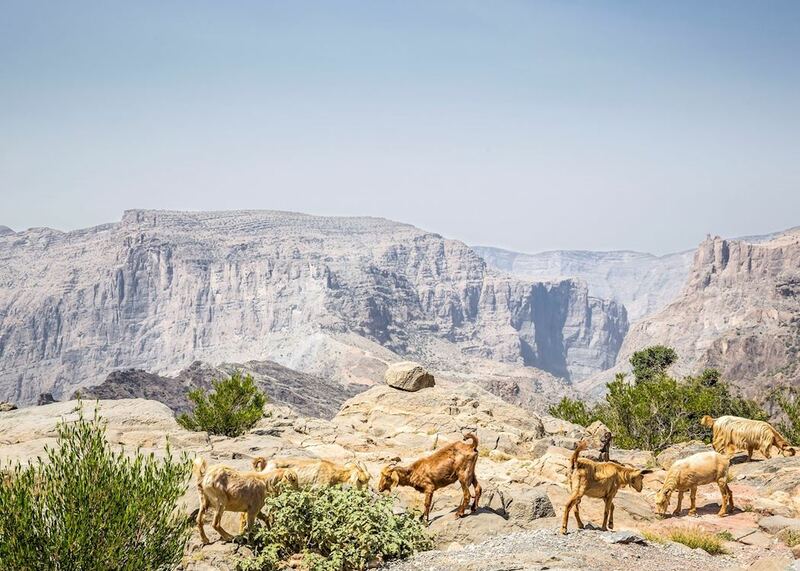 All the rooms have balconies from which you can enjoy the views over the Saiq Plateau’s stunning canyon. For a more exclusive experience, choose one of the pool villas which could be overlooking the luscious gardens or the cliffs. One of the best parts of staying at the Ananatara is looking at the stars from the star gazing platform on a clear night – completely isolated from the rest of the world. 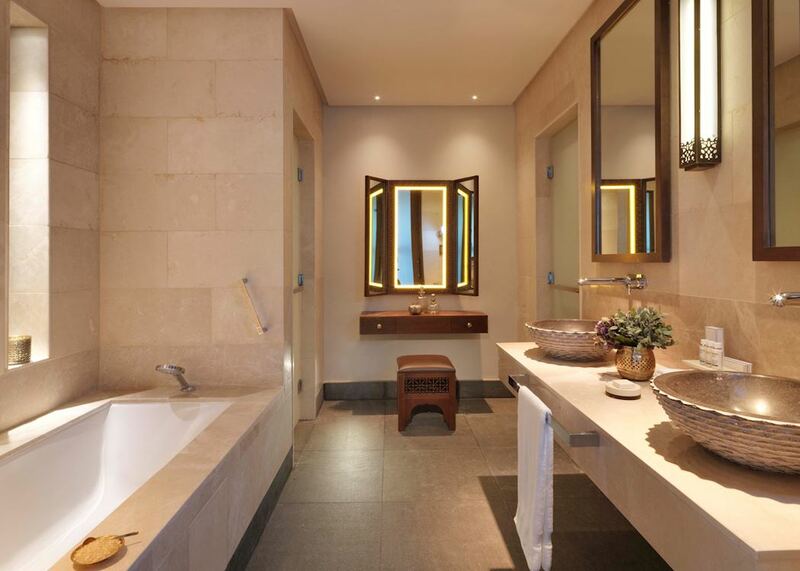 The hotel offers two types of rooms – premier and deluxe. The main difference between the two is location: premier rooms are on the ground floor while deluxe rooms are on the second floor. They all include balconies with canyon views, walk-in dressing rooms, separate bath and rain shower as well as internet access, an interactive LED TV and media hub, minibar and coffee machine. All villas have their own private swimming pool and personalized butler service. The main differences between them are the number of bedrooms (one, two or three) and the views (garden or cliff). 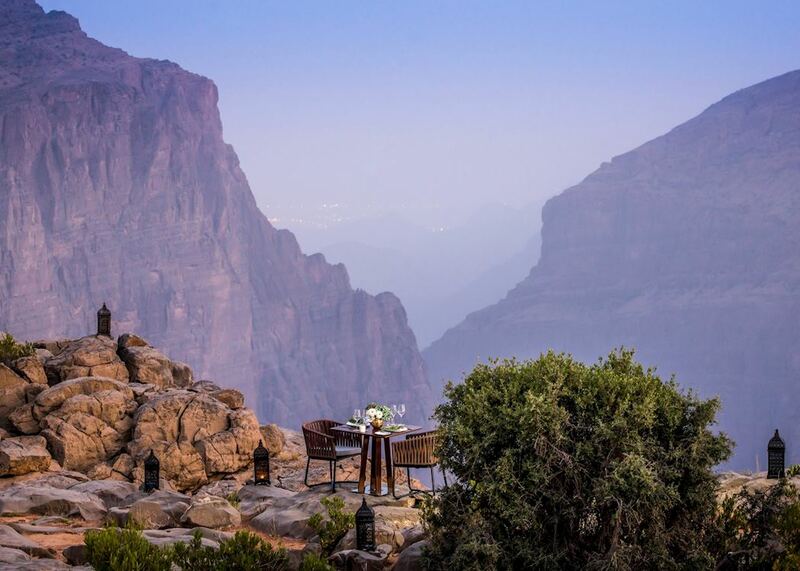 Perched on the rim of a grand canyon in one of the most remarkable plateaus in the area, the Anantara’s location speaks for itself. The mountains' microclimate allows for deliciously cooler temperatures and the abundance of Mediterranean crops. It is important to note that it will take just under an hour to get to the Anantara from Nizwa. Despite its isolated location, there are plenty of dining options to choose from at the Anantara Al Jabal Al Akhdar Resort. From local Arabian delights at the Al Qalaa Tower restaurant or the Spice Spoons, to high-end south east Asian cuisine at Al Maisan and Italian home cooking at Bella Vista, you will be able to try a diverse range of cuisines. There are two main pools at this property: a temperature-controlled infinity swimming pool with belvedere and a designated kids pool. 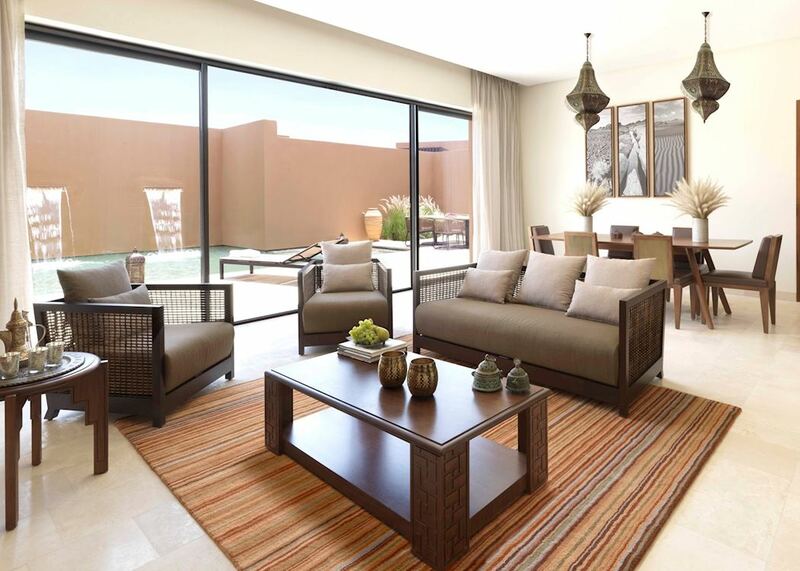 You can also enjoy cliff views at the Jacuzzi or go to the spa’s indoor pool. The property also has a fully equipped air-conditioned fitness center, a tennis court and a recreation center for those looking for some exercise and entertainment. Please note, no-one from Audley Travel has yet had the opportunity to inspect this property. 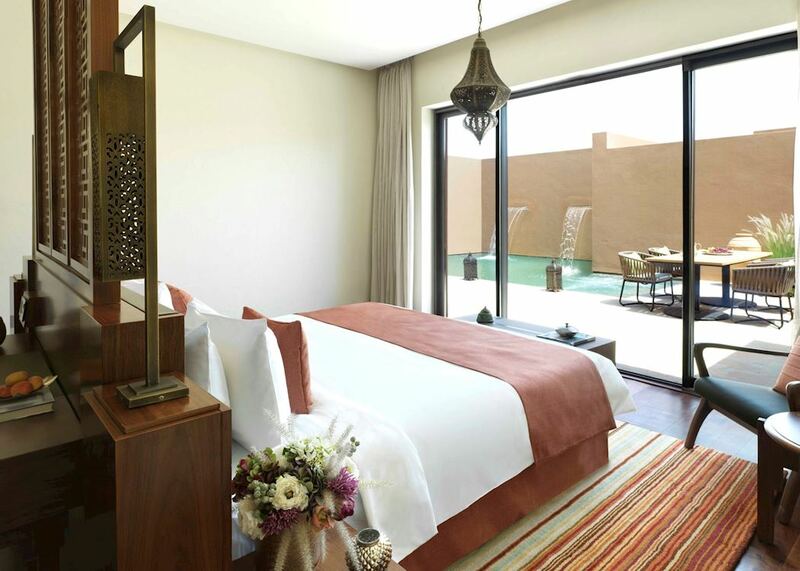 Alila Jebal Akhdar Resort offers a luxurious base for exploring Oman's fascinating interior.